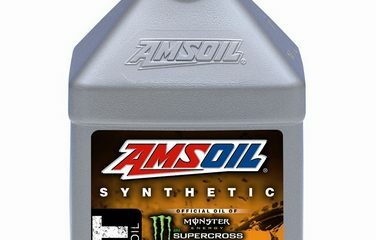 AMSOIL Synthetic Dirt Bike Transmission Fluid is specifically formulated to provide consistent clutch feel, delivering confidence their clutch will respond the way they want. It also guards against gear and clutch wear so enthusiasts can spend more time riding and less performing maintenance. Cost Effective! AMSOIL Synthetic Dirt Bike Transmission Fluid’s superior friction-durability properties help minimize clutch slippage, providing riders consistent clutch feel during takeoffs or when navigating obstacles on the trail. Its lower viscosity delivers more aggressive clutch feel, while its superior performance helps instill in riders the confidence that their bikes will perform consistently in all types of riding conditions. 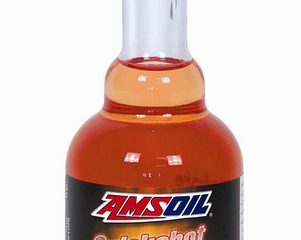 AMSOIL INC., the premier manufacturer of synthetic motorcycle lubricants, focuses on improving lubricant performance so riders can focus on improving their performance on the trail or the track. 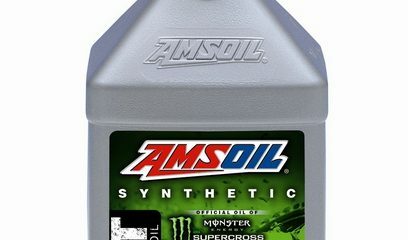 That’s why AMSOIL is the Official Oil of Monster Energy Supercross, AMSOIL Arenacross, AMSOIL GNCC and the AMA Amateur Nationals. Oil Ordering is your source – 800-579-0580 for your best deal! The intense environment inside a dirt bike transmission can shear lubricants, leading to viscosity loss. A lubricant that has fallen out of its intended viscosity range can fail to develop a strong fluid film between parts, leading to wear. AMSOIL Synthetic Dirt Bike Transmission Fluid’s high-quality synthetic base oils withstands viscosity loss due to shear. It delivers excellent wear protection for gears and clutch plates, helping riders get the most out of their bikes.